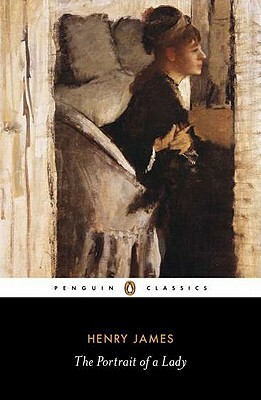 Regarded by many as Henry James's finest work, and a lucid tragedy exploring the distance between money and happiness, The Portrait of a Lady contains an introduction by Philip Horne in Penguin Classics. When Isabel Archer, a beautiful, spirited American, is brought to Europe by her wealthy aunt Touchett, it is expected that she will soon marry. But Isabel, resolved to enjoy the freedom that her fortune has opened up and to determine her own fate, does not hesitate to turn down two eligible suitors. Then she finds herself irresistibly drawn to Gilbert Osmond. Charming and cultivated, Osmond sees Isabel as a rich prize waiting to be taken. Beneath his veneer of civilized behaviour, Isabel discovers cruelty and a stifling darkness. In this portrait of a 'young woman affronting her destiny', Henry James created one of his most magnificent heroines, and a story of intense poignancy. This edition of The Portrait of a Lady, based on the earliest published copy of the novel, is the version read first and loved by most readers in James's lifetime. It also contains a chronology, further reading, notes and an introduction by Philip Horne. Philip Horne is a professor of English at University College London.